Ever since Tesla announced its $5 billion battery plant, the market has awoken to the battery stocks. Tesla raised $2 billion in a convertible deal, and another $1 billion from Panasonic-so forward thinkers assume this area has growth. 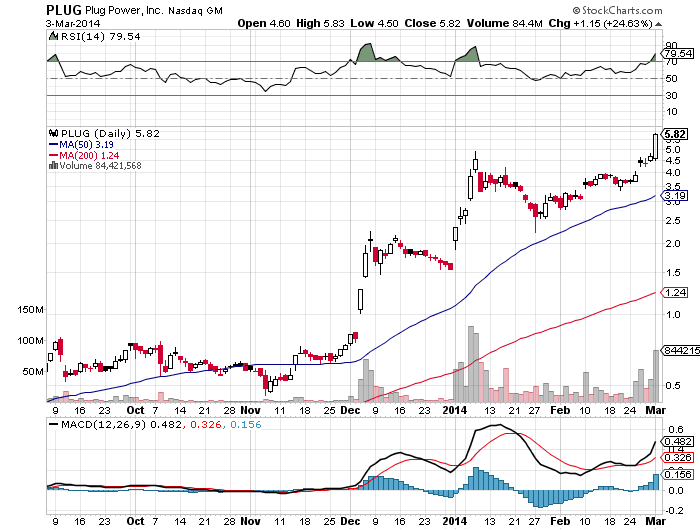 Plug Power (PLUG 5.82) has been ramping, since it raised $30 million from a single investor in January. 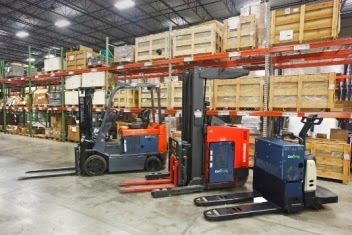 It has a market cap of $600 million, and just announced a tripling of its contract with Walmart for fuel cells for forklifts. Back in January, Plug also announced a lithium-ion battery deal with Fed-Ex so Plug has room for expansion outside of material handling. 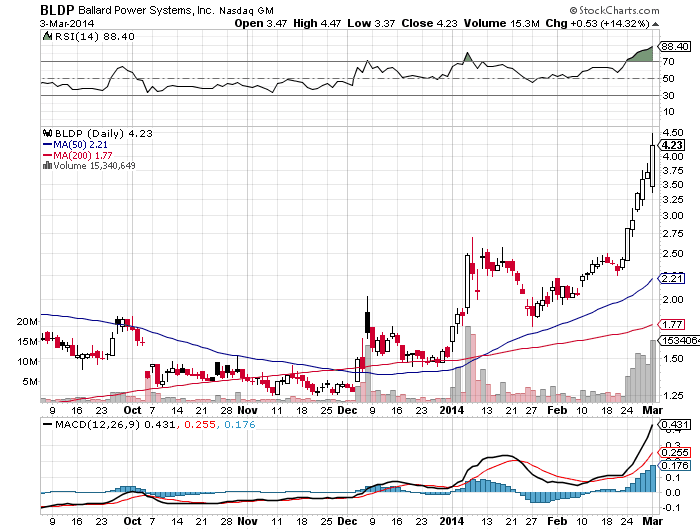 Ballard Power (BLDP 4.23) has a market cap of about $460 million. Their "real" growth has been in Telecom back power fuel cells, and they partner with PLUG in material handling, and they are working on a 25 bus pilot program for fuel cells for buses. 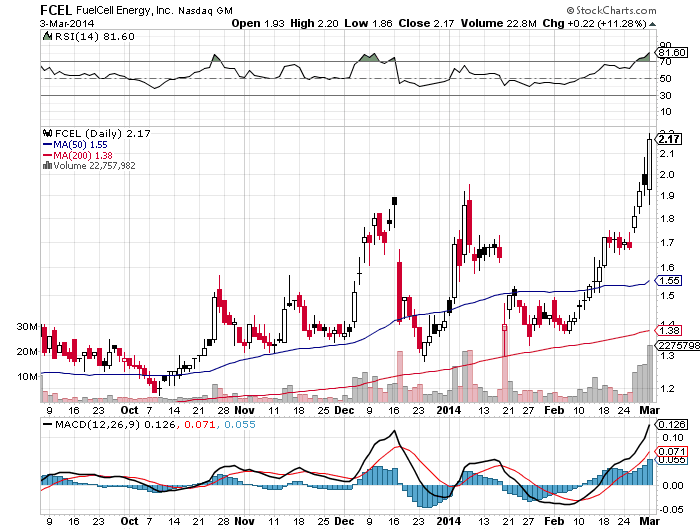 Fuel Cell (FCEL 2.17) has a market cap of $450 million. Here is their latest presentation. You can read that, or you can look at this picture. Is that what the Mr. Market wants? 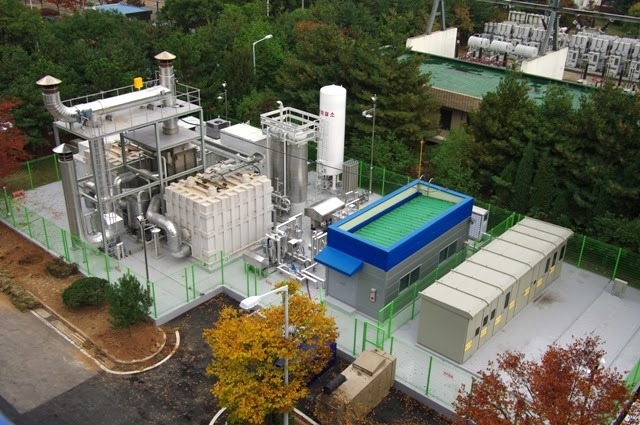 Fuel Cells in plants? Doesn't Mr. Market want "batteries?" PLUG and BLDP are being swapped back and forth between every day trading and HFT shop; and they have momentum, and they are still fairly easy to trade. Which means they have to spike some more, so they can start shaking these stocks out again! If you want to reach deep into the speculative arena--and I don't do much with OTC BB but look at ABAK at .62 cents. Worth a shot. 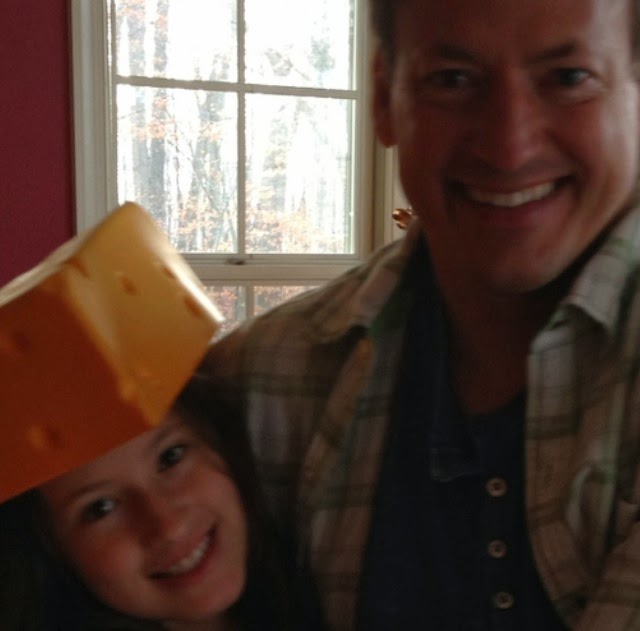 Check out financials, they have a class action settlement behind them--I own it.